Don’t panic! Here is some advice that will help you find the long haircut that suits you best and a few tips to help you maintain your long hair. As a little girl, you dreamed of having long, luxurious hair just like that of your favourite storybook princesses. But now you are all grown up and you have no idea what to do with this mop of hair that looks nothing like the little mermaids of your childhood. 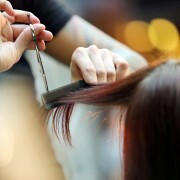 To begin, your hairstylist will take your hair type into account, as well as the hairstyles you absolutely love. Don’t hesitate to bring your favourite magazines to the hair salon on the day of your appointment. 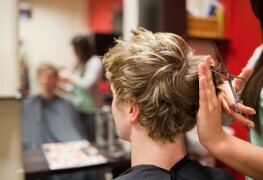 In addition to inspiring your stylist, they will give you something to do while he or she is cutting your hair. Whether you choose a variation of the long haircuts that are layered or even, the important thing is to follow the direction of hair growth and the movement of your hair. Don’t forget to ask your stylist for tips you can follow at home to either simplify your hairstyle or boost it up a notch for a night out. For a radical change without too many long term consequences, opt for bangs that are longish and tapered. You can also play with your hair part to refresh your look every day—try wearing it to the right or to the left; centred or diagonally parted. In other words, let your hairstylist put her talent to work for you. She’s aware of the latest trends and the various techniques for customizing long haircuts for your personal style. Square faces benefit from layers and curls to soften the features, whereas more layers will lengthen a round face. The idea to keep in mind is to always emphasize your best qualities. By softening certain angles and rebalancing the volumes, the proper cut will harmonize with your face and give it a well-proportioned appearance. A diet that is rich in vitamins and quality proteins gives you shiny and strong hair. Massaging your head activates the scalp’s circulation and should be done twice a week, for about 10 minutes. A purifying scalp treatment is good for dislodging dandruff and helps the hair follicle to breathe. The better oxygenated the hair, the faster it grows. Long hair calls for a lot of care. Its enemies come in many shapes, including the styling brush, curling iron, flat iron and hot rollers. No matter the texture or thickness of your hair, above all else it needs to be pampered; looking like a star begins with healthy hair. 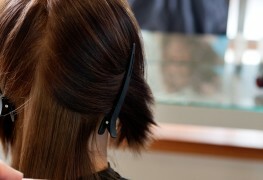 Fortunately, damaged hair usually responds well to the appropriate salon treatments and a light trim. Long haircuts also means split ends, which in turn means frequent trips to the hair salon. In fact, for your long haircut to be stylish and free of split ends, getting touch-ups at the salon on a regular basis is essential. For larger than life hair, you’ll have to entrust your hair to the experts.